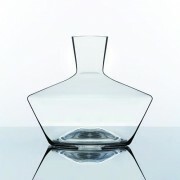 The Zalto Axium decanter makes a dramatic statement on the dining table when paired with the elegance of Zalto stemware. 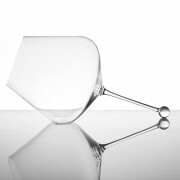 Designed for all red or white wines that require ample room to breathe. Height 204 mm or 8 inches Capacity 1.45L or 49 ounces Lead-Free Dishwasher-Safe .. 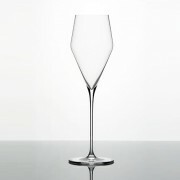 The is the main red wine glass from Zalto. For wines full of character, young or mature. Especially for: Bordeaux, Rioja, Brunello, Cabernet Sauvignon, Merlot, Shiraz. Height 240 mm or 9.5 inches Capacity 0.94L or 32 ounces Lead-Free Dishwasher-Safe Resistant to clouding ..
For powerful and expressively perfumed wines. The shape of the bowl integrates the components of the wine, bringing to the foreground the fruit and sweeter notes. Especially for: Pinot Noir, Nebbiolo, Barbera. Height 230 mm or 9 inches Capacity 0.95L or 32 ounces Lead-Free Dishwasher-.. Gives the sparkling wines of the world a noblesse, while bringing out their best of their regional character. Especially for: Champagne, Sparkling Wines, Prosecco, Spumante and Cava Height 240 mm or 9.5 inches Capacity 0.2L or 7.5 ounces Lead-Free Dishwasher-Safe Resistant to cloudi.. The Zalto Gravitas Omega is not quite a glass or a decanter. It is simply unique. Aerate your wine by rolling the Gravitas Omega in circles on a flat surface. It does have a flat spot on the bowl to prevent it from rolling off the table or to rest! 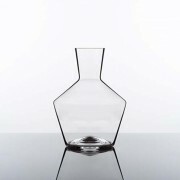 Perfect for red wines or for experiment.. The Zalto Mystique decanter makes a dramatic statement on the dining table when paired with the elegance of Zalto stemware. Designed for all full-bodied red wines, in particular young powerful red wines that require ample room to breathe. Ideal for decanting magnums. Height 185 mm..